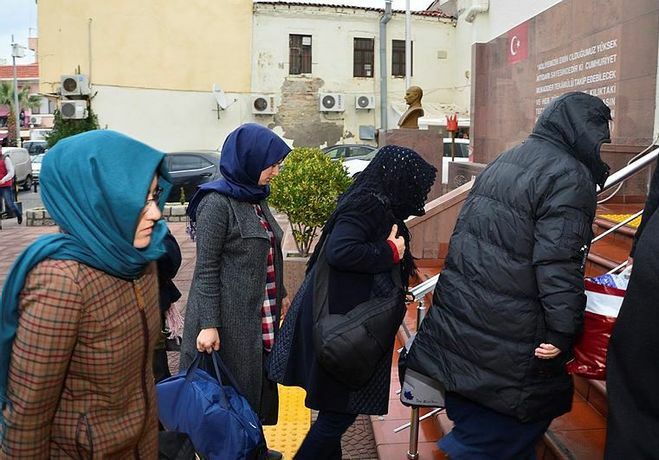 A total of thirty-three housewives were detained over alleged links to the Gülen movement, which the government accuses of masterminding the July 15 coup attempt, the pro-gov’t Sabah daily reported on Friday. Detention warrants were issued for 33 Kayseri individuals early on Friday. Hours later, police teams carried out simultaneous operations in the province and detained all the suspects. The detainees are accuse of having links to the Gülen movement, using of a smart phone application known as ByLock and attending public meetings organized by the movement followers. Turkish authorities believe ByLock is a communication tool between members of the Gülen movement.